Are you considering to start a freight brokerage in Texas? Since the state is the second largest in the country, the logistics industry is surely a good choice for a budding business. 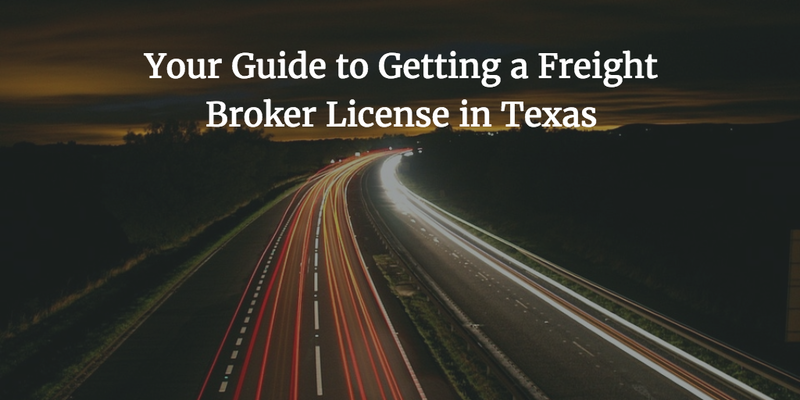 Your first step to launching your brokering activity is to get a freight broker license in Texas. The licensing process is uniform for all states and is regulated by the Federal Motor Carrier Safety Administration. Still, there are some local specificities you need to consider. In any case, all freight brokers have to obtain a freight broker bond to be able to operate legally. Here are the detailed instructions to going through the licensing with ease. If you’re new to the freight industry, it’s wise to start your journey by studying the intricacies of the trade. The easiest way to go about that is to take freight broker training classes led by a specialist in the field. Such training can help you get the basics, learn how to use software you need and gain some business knowhow. In case you’d like to save up on startup costs, you can also research yourself and read up on your time. There are plenty of online resources and books. If you’re studying on your own, it’s a good idea to get knowledge on the business specificities in Texas. Whichever option you go for, it’s important that you develop a business plan and gain knowledge about working with shippers and carriers. You also need to register your business as a sole proprietor, partnership, limited liability company or corporation and select your business name in this preparatory stage. For the last three types of entities, the registration is done with the Office of the Texas Secretary of State. When you feel confident enough to jump in the industry, you have to start with the legal side of the process. Your first step is to get a USDOT number (US Department of Transportation). It is needed in order to complete your registration with the FMCSA. Besides duly completing the application form with the FMCSA, you need to meet a range of requirements in order to receive your freight broker license. This is the way to obtain your Operating Authority. You can consult the OP instructions to get help with filling it out. The most important requirements include getting a freight broker bond, cargo insurance and injury and property damage insurance. You also need to pay a $300 license fee. Once you submit your paperwork, the FMCSA will review your application within four to six weeks. If you are approved, you will get your number by mail. In the meantime, your approved profile will be published on the FMCSA website. If there are no protests against it within 10 days, you will be officially granted an Operating Authority. The freight broker bond, known as BMC 84, is one of the main licensing requirements. The purpose of this security measure is to guarantee that logistics professionals will comply with all relevant laws. It also ensures protection for the business partners you work with in case you fail to make due payments or default in any other way. Start your freight broker bond application today! Why us? For freight brokers across the U.S., the bond amount is set at $75,000. You only need to pay a small percentage of this amount, which is your bond cost. If you qualify for standard bonding market, your premium can be in the range of 1%-7.5%. Even if you have problematic finances, you can still get bonded. Your bond price will be slightly higher, so you can expect a rate of about 8%-13%. 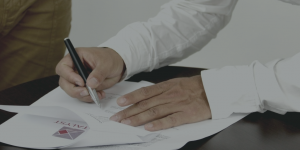 While most other licensing steps are the same for brokers from all states, if you want to do business in Texas, you need to designate a Texas process agent. The FMCSA requires brokers to have such an agent for each state that they have an office in or sign contracts. This is done by completing Form BOC-3 (Designation of Agents for Service of Process). If you are planning to operate across states, you will need to designate agents for each state. Are you ready to get your freight broker license in Texas? You can apply online for a free bond quote. For any questions about the process you might have, contact us or give us a call at (866) 450-3412. Our bonding experts will be happy to assist you.